Using compassion with Goal Setting, and 5 ways to achieve it! I will never forget those moments during my weekends! I would come home, annoyed and pissed off with yet another poor week at work. I would make myself yet another promise that this time, things would be different. I would grab a beer, have a pizza, and faithfully tell myself that my life would finally begin on Saturday. Of course, I would have yet another late night, far more concerned about my fun and entertainment than getting my life back on track. Far more concerned about the life of celebrity gossip, rather than trying to make the actual effort of finding what I wanted in life, and actually drawing up a plan to make it happen. I could look down at some celebs, rather than actually owning defeat and saying that I needed help with my life. The web was a convenient distraction, and I loved it. So you can imagine my horror that, come Sunday, still no changes! But that was about to change, I told myself. I quickly wrote down my top 10 things that I had to do, tried to prioritise them, and then set myself to work. I didn’t (at the time) find blogging fun. In fact, I didn’t find anything I did fun at all. And when I did take a break, and finally succumbed to watching videos online, I quickly became too self-critical to myself, resigned myself to defeat and carried on, indulging in the chocolate of late night video catching up. Till about Monday, when I was back in work. And then the following weekend repeated it self. Again and again. 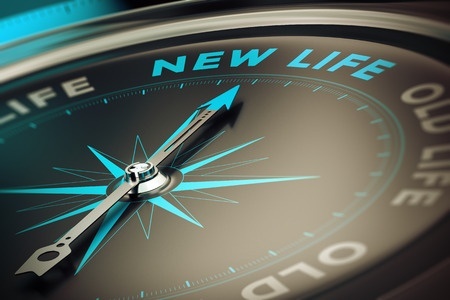 I would be really self-critical, unable to re-capture the initial excitement of changing my life for the better, building a brilliant business, and making a positive impact in the world. No, the usual doubts of, ‘this will never work’ or, ‘I’m so useless at this’ got louder and louder and louder. I got into a defeatist attitude, then a victim attitude. All too often, we build ourselves up to create goals to actually achieve, only to fail a few times and give up. Startling as it may seem, but the answer may surprise you. And believe it or not, self-compassion is fast becoming proven to show that you are far more likely to achieve in your life if you are kinder than yourself that if you are critical. Now, don’t misunderstand what I am saying. I’m not on about being over indulgent, I’m talking about reducing and eliminating that critical self-talk that most of us have. You see, we assume that if we are easy on ourselves, we won’t get things done. But evidence is proving the opposite. It involves a vision, and then a plan. It involves discipline and it involves motivation (to get you going initially, then discipline takes over when the going gets tough). It also involves grit determination, and also the ability to fail and learn from your mistakes. And this is where most people screw up, and where your inner talk really counts to either your advantage or dis-advantage. Lets take dis-advantage first, and one which most if us do. We set a goal (or a few), we achieve most of them. Thanks to life’s twist and turns, we get distracted, (or sidetracked), and then completely forget the original mission because, maybe, we are having too much fun online. We then beat ourselves up over it (‘can’t I ever finish anything, what is the point, pull yourself together!!!’). This looses the race, and we are back to square one. Would you speak to your friend like that? So why would you speak to yourself like that? And when you do, you get stressed, releasing the good ol’ chemical cortisol into your blood, which prevents you from focusing properly. This means that you find it difficult to complete your goal…. So, same as before, you make a few goals, achieve only a few of them, but now the crossroads. Stop beating yourself up over it. Your only human, not a robot (contrary to what you may believe). Take a few deep breaths, do something enjoyable for about 10 mins (no more!!!) and casually resume. If you have to, make a bargain with your own ego. (‘I’ll finish this, only if I watch that video online for just 10 mins’… you get the idea). Change your inner dialogue, so instead of a harsh dictator whip-lashing into action, you have a more gentle voice, nudging you in the right direction. Sounds crazy, but this stuff actually works. And you feel better because of it! Promoting self-compassion with your inner self-talk helps turn your goals from ego centric to eco-centric. Sound very similar, but are vastly different. Egocentric goals are purely for your self-image, and as a result, only you loose. Not a big problem, in and of itself, but it is a loose-loose outcome. Sure, your attempt to achieveing that goal was to help yourself, but people were not going to be helped. Now you have failed, nobody wins. Not lets compare that to eco-centric goals. You have a goal for your self image, but you are very aware of how self-compassion plays a part, so you set it so even if you do fail, people still benefit. Sure, you may not succeed as much, but seeing somebody else benefiting from your journey is also rewarding, so you feel better, not worst. By setting our goals as eco-centric rather than ego-centric, we are still helping our community so that if we we don’t succeed (which, if done correctly, would be few and far between) other people are still helped. So how do you improve your self-compassion, and get back on track when the going gets (inevitably) tough. Here are a few suggestions to help you on your way. There is a good chance that that somebody has been here before and probably succeeded. Don’t misunderstand what I am saying here, I’m not talking about trivialising your problem. Far from it, trivialising important issues always does more harm than good. I’m referring to realising that somebody has probably been where you have been and succeeded, despite the initial setbacks. This type of thought process should be empowering, not disempowering. Bear in mind that there is a lot of good information out there on the web (true, there is also a lot of crap out there as well, but I’m assuming you can tell by now if something sounds true to you), and the chances are that you have already learnt a great deal on your journey on self-improvement. The trick is to take comfort in the tools you have in your treasure chest (For me, this would be NLP, EFT, Mindfulness meditation etc…). For example, if you have trouble getting motivated to start your goal, you can do a quick 5 minute NLP anchoring technique, so you can touch on a certain part of your body to elicit the emotional state of motivation. Obviously, this may wear off after a while, so you have to carry on with discipline. I love this rule, as it is something that I do every day. I use the 5 minute rule to help start a goal, knowing that there is a psychological principle which states that you once you start something you are passionate about, you will try to finish the task once you start it (aka The Zeigarnik effect). Another trick is to spend 10 minutes of fun before resuming a goal, or make goals that incorporate fun so you don’t loose out on enjoyment! You can also try the trick in making a quick deal with yourself. If you find that it is harder to get back on track, say that you are going to have fun for 10 minutes and no more. Then, its back to work. You will be surprised at how often you will finish a task by doing this. Making friends with your subconscious is a powerful thing to do! Above all else, try to make friends with your subconscious. Realise that your subconscious responds well to positive encouraging imagery, tone of talk and emotion. So make peace with whatever distraction you have caught yourself being involved with. By changing your inner talk to a more caring and kind nurtured spirit, you will find that most often than not you will go back to finishing your task and building a better ‘you’. As you can see, using self-compassion is invaluable at setting goals and achieving them. By changing how you talk to yourself, you can produce more effective goals, complete them more effectively and become more productive in your every day life. By doing this, you will be more happier and stronger than ever before. 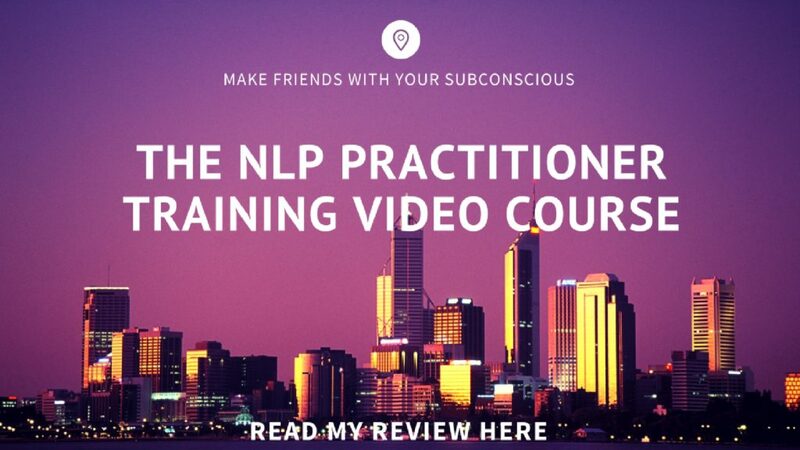 If you would like to find a way to communicate with your subconscious more effectively, I have reviewed an online course by NLP teacher Michael Stevenson, which is the NLP practitioners training video course (non-certification). NLP is a great way to communicate with your subconscious, and this course offers great tips and techniques to get the most out of your day, including a way to produce very effective goals so you can get more stuff done. To read my review, please click here. P.S. Using self-compassion is often underrated, as we think that self-compassion is being over indulgent, but the research is promising. By changing your inner talk and tonality to that of a kinder person, you will find that you will benefit in the long one. You will produce more goals, and actually begin to have fun achieving them. A great way to do this is to have a better relationship with your inner self, or your subconscious. Your subconscious dictates 99.9% of your behaviour, and therefore making friends with your subconscious is an absolute must. NLP is a great way to build a more friendly and effective relationship with your subconscious. To read my review on the NLP practitioners course, please click here. Eco-centric. I never found this word before, and I love it! I’m glad you do. Yes, an Eco-centric mentality certainly helps put your goals in its correct perspective. Previous PostPrevious Why Self-esteem without Self-compassion is useless, and 5 steps to improve it! Next PostNext Loving-Kindness Meditation: The Secret To Great Compassion?